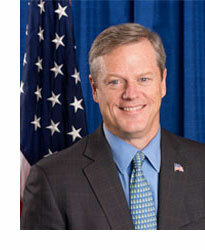 We are very pleased to announce that Massachusetts Governor Charlie Baker will address the luncheon session of the 2015 STEM Summit on Novermber 10th in Worcester. University of Massachusetts President Marty Meehan will provide welcoming remarks. “In order to build a high-quality workforce for the future, we need to develop strong partnerships across industry, higher education and K-12, aligning education and training programs, and helping our young people get excited about all of the opportunities in STEM fields," said Baker in announcing his attendance. "I’m looking forward to a productive meeting and the collaboration and exchange of ideas at this year’s STEM Summit." After his remarks, Gov. Baker will take questions from Summit attendees. Additionally, in the session period immediately following the his address, Gov. Baker's "Workforce Skills Cabinet" will sit down for a conversation with J.D. Chesloff, Executive Director of the Massachusetts Business Roundtable. Secretary of Education Jim Peyser, Secretary of Housing & Economic Development Jay Ash, and Secretary of Labor & Workforce Development Ronald L. Walker, II will share their views on the needs, challenges, and potential next steps for the Commonwealth in sustaining and growing the pool of STEM talent. Please see the Summit schedule for more information about these speakers and more.